Love the intro and the cover. These British Crime novels are usually good. Oh I like the beginning! And love the cover too. So glad to see you doing a Symons, Margaret. Some of his work is excellent. This one has an interesting premise, and it sounds like an intriguing puzzle. I’ll be keen to know what you think of it. I like the beginning that you shared. Hope it is a good one for you, Margaret! I love the British Library Crime Classics, both for the stories and the covers. I picked up a few the last time I was in London, and then a few more here in New York. 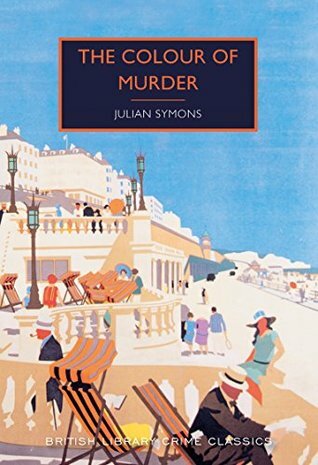 It’s so lovey that they are reprinting these classic crime novels and yes, this does sound like one I’d enjoy.